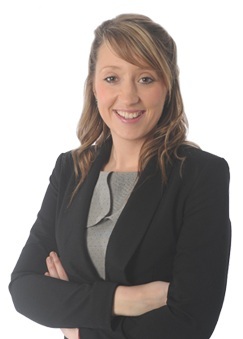 Nicola joined Wace Morgan in September 2004, became a Graduate Member of the Chartered Institute of Legal Executives in June 2008 after completing all of her exams and qualified as a Chartered Legal Executive in November 2010. Prior to doing so, she attended Ludlow Sixth Form College to study Law, Sociology and a Diploma in Business Administration and Bookkeeping. Nicola specialises in advising clients on funding of long-term care issues, including but not limited to Continuing Healthcare Appeals, Third Party “Top Ups”, Powers of Attorney and Advanced Decisions. Nicola is also a member of Solicitors for the Elderly, which is a national association of lawyers who are concerned with improving the availability of specialist legal advice to older and vulnerable people and their families. She is friendly and approachable with a sympathetic and sensitive approach in dealing with elderly care matters. When she is not busy working, she is involved in supporting local charities, to include the Alzheimer’s Society, Mayfair Community Centre and Age UK, and also local groups in providing talks and free advice/information, in order to support carers, patients and their families. She is also involved in many local legal groups and has been Chairperson of CILEx Shropshire & Mid Wales Branch for three consecutive years. “I wanted to thank you for all of the effort and professional advice you have given me over the past years during a time of much stress and confusion. You gave understandable and friendly advice which is so important in distressing circumstances and has been appreciated right to the end. I would certainly recommend you and Wace Morgan to all I know”.